Aidan Herdman’s Stunning Mk1 5 Speed. The Chopper’s patent was applied for in the US in 1967. 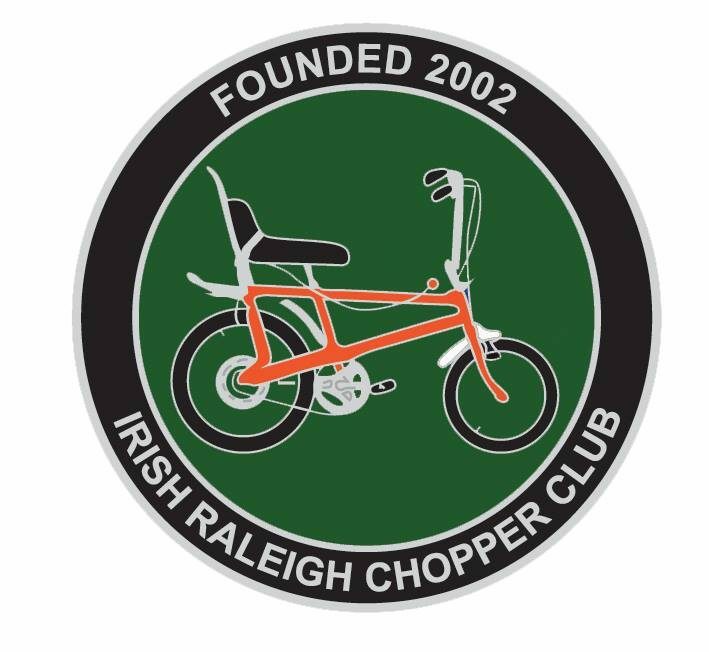 The Chopper was introduced at American trade shows in January 1969 but it was not until April 1969 when Raleigh Choppers were available for public to purchase. The bike featured a choice of a single-speed coaster hub, or a 3-speed or 5-speed Sturmey Archer gear hub, selected using a frame-mounted console gear lever — one of its “cool” features. Other features that appealed to the youth market were the unusual frame, long padded high-back seat, sprung seat at the back, high-rise (ape hanger) handlebars, ‘bobbed’ mudguards (fenders) and differently sized wheels — 16 in (41 cm) front and 20 in (51 cm) rear. The rear hoop above the seat resembled a dragster anti roll bar “sissy bar“. Tyres were wider than usual for the time, with a chunky tread on the rear wheel, featuring a red line around the sidewall.